So what does a professional organizer do when she has time on her hands and is stuck without transportation for the day? She takes care of her own organizing, of course! This past week I found myself with a few days of no work appointments and no car to take me out and about. So once I got over the sadness of that (did I mention how much I love my job? ), I decided to spend time on some personal pending organizational projects. First up was to tackle a pile of papers needing my attention, prioritizing them according to which needed immediate attention. I accomplished that in fairly good time, and then moved onto answering and working through emails. Sounds like all was moving along productively, doesn’t it? At least it was turning into a nice, sunny day, and as the sun poured into my kitchen, I decided to work at the table there and soak it up. 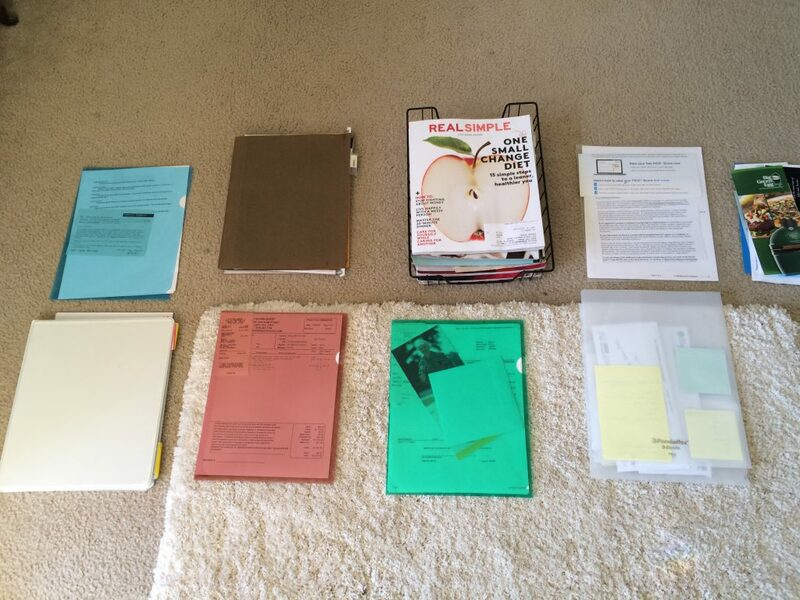 So, with tax season upon us, my next task was to clean out my 2015 personal files and gather information for taxes. Believe it or not, and in spite of the other work “detours” I took while in the kitchen, I did finish purging my files and gathering all my tax papers. Except now I had to fill out a form from the CPA, and I found myself procrastinating this. So I reflected on why I was hesitating, and decided I should probably wait till I gathered all my business files together before completing the form. So that became my next task, and into my office I went to gather the files needed for my taxes. Oh, but did I tell you that in between working through the papers and the emails, I was also listening to some free classes online about women and ADHD? It was good stuff. And while listening, I simultaneously did some sit-ups and pushups (because you know I can’t just sit still). But wait. Before going back to the papers, I wanted to listen to one more online class. It was great, except by the end of the day, I was left looking at all the papers still piled all over my office floor. This frustrated me because although that system (piles representing different projects) works for me, I hate having piles on my floor! So that became my motivation for reclaiming my office floor. Since I couldn’t leave those piles lying there overnight, I gathered them up and put them in a tray so I could revisit them the next day. Whew! A day in the life, indeed. Just look at all I got done. Except that when you have ADHD, you do multiple items not even on your list, AND your to-do list was unreasonably long to begin with, you never quite feel like you got much accomplished. The solution to that? Best practices say you should take 2-3 tasks off your main to-do list and try to complete only those for the day. Except I, of course, don’t see it that way. I see the whole day stretched out before me and think I should be able to knock everything off my list in that one day. So this has become more of a do-as-I-say-not-as-I-do encouragement for you all. And what did I end up doing? I rewrote my to-do list and cleaned it up, removing items completed, getting rid of all the side notes and scribbling, etc. And actually, in doing that, I noticed how much shorter my list was now and how good it felt to see it without all the scratched out items (and with less to-do’s on it!). Now aren’t you glad I’m much more focused and on track when I work with you? And that’s really where my heart is. 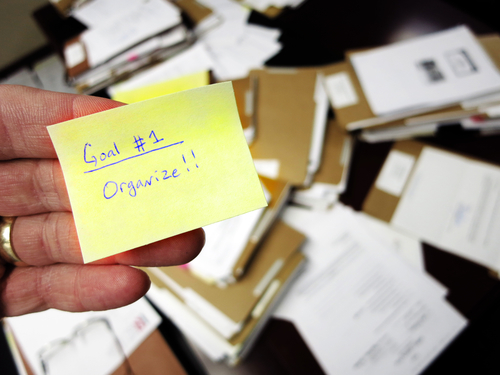 Working with you to help you be your best organized self. So if you find you need help getting your paperwork in order for doing your taxes, you’ll love the way I’ll work with you to get that completed, and leave you feeling quite accomplished yourself. ADHD or not. I help, and have helped, many clients purge their files, set up new files, and get caught up from 4-5 years of delinquent tax returns. Need help with yours? Let’s get started.